In paying tribute to mentors and friends, People and Places is very much about key figures in Sam Javitch’s life and the appreciation he feels for the difference they’ve made. 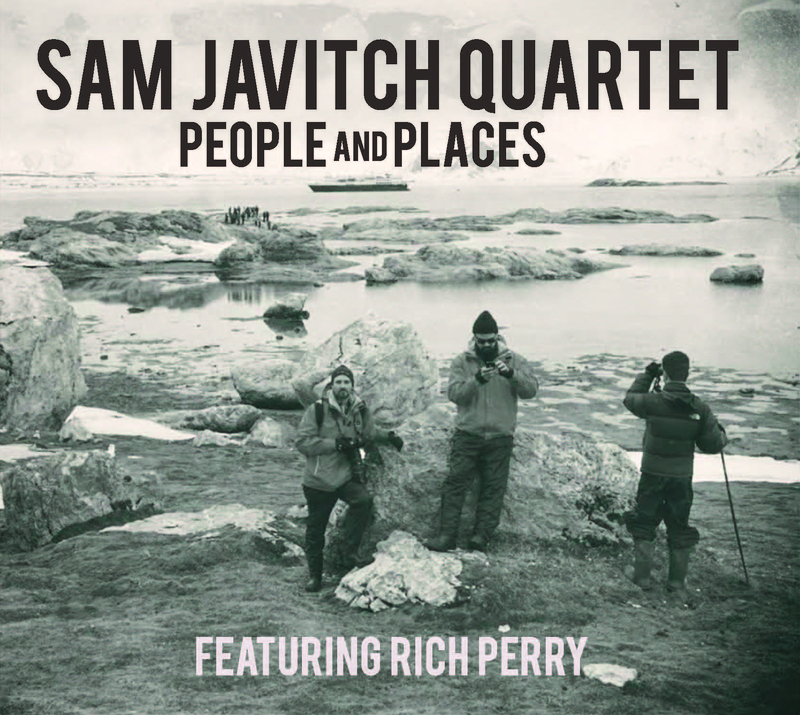 Among those honoured by the NYC-based Javitch on his follow-up to 2014’s solo piano set Train to Nowhere are pianists Mulgrew Miller and James Weidman, tenor saxophonist Rich Perry (a Maria Schneider and George Mraz associate who plays on the album), his Buddhist friend Sasha Ono, and Cotton Coulson, the late National Geographic photographer who met Javitch on a trip to the Arctic and whose photo adorns the album cover. Something of a prodigy, Javitch began playing piano at the age of three and has performed jazz since eleven. In addition to Miller and Weidman, Javitch studied with Garry Dial, Harold Mabern, Cecil Bridgewater, Russ Lossing, Andy Milne, Gerald Cleaver, and Tony Malaby, and is also a graduate of William Paterson University and the Manhattan School of Music. A familiar presence on the New York scene, the pianist has appeared at Joe’s Pub, Rockwood Music Hall, and 55 Bar, and is joined on his sophomore effort by Perry, acoustic bassist Adrian Moring, and drummer Matt Niedbaski, all of whom acquit themselves admirably on the date. All seven compositions are Javitch originals and solidly in the tradition. In a word: listeners hungry for innovation and experimentalism won’t find it on People and Places; what they will find, however, are high-quality performances by engaged individuals on tracks strong on feeling and rooted in blues, bop, and swing. His writing has much to do with the album’s appeal, with a tune such as “The Pitch To Rich” buoyed by the bluesy head the pianist gives the musicians to work with. After its initial voicing, the band kicks into high gear with a rousing solo by the leader, which Perry follows with an equally robust and declamatory turn. “Parallel Modalities for Parallel Realities” is distinguished by a lyrical theme that exudes a subtle wistful quality in a classic “Naima” vein, while “Honin Myo,” the tune Javitch wrote for Ono and which means “from this moment on,” opts for a carefree feel in its breezy, cymbals-driven swing. “Wiseman Weidman” is boppish in a rather Tristano-esque sense, whereas “Lifted: a Song for Grew and Those Who Knew,” Javitch’s affectionate tribute to his late mentor Miller, sees the quartet wringing as much feeling as it possibly can from a ballad rich in gospel spirit and heartfelt expression. The album material often exudes a focused, blues-influenced vibe reminiscent of an album like Coltrane’s Blue Train, the players less preoccupied with advancing the form and more intent on digging into the tunes and infusing the performances with energy and conviction. Whether playing block chords or elegant runs, Javitch enhances the material with a rich, resplendent tone, which is nicely complemented by Perry’s full-throated attack and the solid support of Moring and Niedbaski, who make strong impressions on the material with well-chosen solo spots of their own. Classic jazz it might be, but the listening pleasures offered by People and Places are nonetheless plentiful.